You certainly can't be accused of having no content! I see many sites that have only ads on them. I didn't read everything of course but it is a heartening story. I liked the idea of the graphic map for navigation, but found some of the pages too long. I see that you have designed it too for a 800 wide resolution. Your site has been chosen as a winner for April 2003. I was impressed by your webpage and the hard work you put into your site. Thank you for applying for the award and sharing your site with me. Our Council have chosen your site, to be worthy of our "Golden Website Award", to signify that your site has been judged to contain quality content, design and HTML expertise. We know that it takes a lot of time and effort to create a quality site. For this reason, we feel everyone who has achieved his goal of maintaining an overall "kewl" site deserves at the least, a badge of honour. We are honoured to present it to you. Please receive my awards. Know that they come the deepest part of my soul. None can be applied for. I give them freely to those sites I feel deserve them, and your site deserves every single one of them. I would like to congratulate you with your web page. That's why I reward your site with Tim's Merit Spider Award. I enjoyed surfing your site, and I am sure everybody else will too. 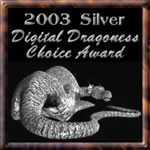 The Digital Dragoness has awarded you with Silver. A great site, full of wonderful content. You have collected some great pictures of the Faberge Eggs. I am pleased to announce that your web site has won one of my awards. My awards are not easy awards to win at any level. A lot of hard work and dedication was evidenced. Your layouts and color schemes are wonderfully chosen. You have taken on some unique design tasks and executed them beautifully. I congratulate you on a job well done! Missped's Website is honored to have my award displyed on your most prestigious site. Matt and Andrej Koymasky Home has been reviewed and chosen to bear the 2003-2004 Golden Web Award, in recognition of creativity, integrity and excellence on the Web. 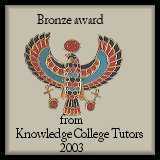 I have carefully reviewed your site and I am pleased to tell you that your site won my bronze site award. You have an excellent design and easy navigation. Congratulations! Your web site is an award winner! We are very happy to announce that your fine site has won our new 5 Star Goodwill Gold Award for outstanding service to the global bisexual community as well as the GLBT community worldwide. Again our thanks, our congratulations! Our world is a much better place for all the good you have done!